A & B Commercial Cleaning Service, LLC offers retail cleaning services to commercial customers throughout the local area. We've been in the commercial cleaning business since 2015, offering customized cleaning services to retail customers. A & B Commercial Cleaning Service, LLC provides ongoing maintenance for retail clients, one-time service for grand openings and other special events, post construction cleanup if you have recently renovated or expanded your retail space, and emergency cleanup. Call (717) 216-4866 to discuss your retail cleaning needs. Cleaning services geared to the needs of your business. A & B Commercial Cleaning Service, LLC understands that customer-facing businesses have unique cleaning requirements. 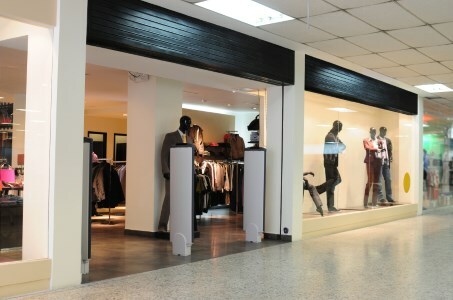 That's why we offer customized retail cleaning, tailored to the needs of retail businesses. From display cases to mannequins, A & B Commercial Cleaning Service, LLC will make sure your retail space is cleaned and ready for business every day. We have provided superior retail cleaning for local businesses for more than 4 years. Call (717) 216-4866 to tell one of our retail cleaning experts which services are important to you. A & B Commercial Cleaning Service, LLC gives special attention to all the floors in your retail space. From showroom floors to storage and inventory floors, A & B Commercial Cleaning Service, LLC provides expert floor care for all types of resilient and non-resilient flooring, hardwood floors, and carpeting. We'll make sure every aisle, office, and entrance way floor is professionally cleaned. Call (717) 216-4866 today for a free retail cleaning estimate.